“History is on our side.”—Plan de Delano, 1966. “As the Board of Trustees for the Farmworker Movement Documentation Project (FMDP), we are committed to safeguarding the content and founding spirit of the FMDP so that future generations will understand and appreciate the significant history of the farmworker movement. 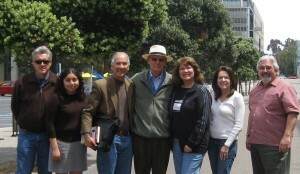 Our principal goals are to continue to expand the archive and make the source materials available to students, teachers, scholars, artists, writers and the general public in a manner that honors the legacy of all who made La Causa a compelling movement for social change, empowerment and pride.